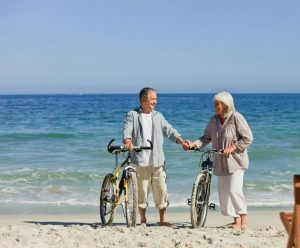 If you or your spouse is over 50 and want to live in Thailand, a retirement visa may be for you. There are two ways to apply for a visa to retire in Thailand. The first is by applying in your home country before you come. The visa you must apply for in this case is called the Non Imm O-A and is discussed below. In later articles we will explain the other alternative, conversion to a Non Imm O visa from a tourist visa while you are already in Thailand and other issues common to both the Non Imm O-A and the Non Imm O, such as importation of household effects and renewal. Okay, how do you apply for a Non Imm O-A from outside of Thailand? First, go to a Royal Thai embassy or consulate in your country of residence or your home country and get the forms. Your completed application should include your passport, which must have a remaining validity of at least eighteen months. You must also supply three 4 x 6 cm photos taken within the last six months. There are two forms you must submit, the visa application form in triplicate and the personal data form. The fee is the equivalent of 2,000 baht for a single-entry visa, or 5,000 baht for a multiple entry visa. If you are living in Thailand on a Non Imm O-A and wish to travel outside of Thailand, you must have a multiple entry version, or the Non Imm O-A will be cancelled when you return. The most important requirement for the O-A visa is that you must be able to show that you have assets and/or income. There are two alternatives for this. First, you may show by copies of your bank statements that for at least three months before the application you have had the equivalent of at least 800,000 baht deposited in a bank or banks in your home country or in Thailand. The bank or banks must give an original letter about each account confirming the accuracy of the account statement. Second, you may submit an original income certificate from the source of the income showing you have a pension or monthly income of at least the equivalent of 65,000 baht. You may, likewise, prove a combination of your monthly income multiplied by twelve plus bank deposit of the equivalent of a total of 800,000 baht and this will be acceptable. You’ll also have to submit a letter from the police or similar organization in your country, issued less than three months before your application, that you have no criminal record. This must be notarized. Finally, you’ll need a medical certificate, in the form the embassy or consulate will give you, showing that you are not suffering from leprosy, an advanced stage of tuberculosis, drug addiction, elephantiasis or the third phase of syphilis. This must be notarized and dated not more than three months before your application. 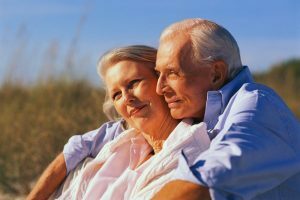 If your spouse is under 50, he or she will be considered for a temporary stay under what is known as a Category O visa. This means that your spouse can only stay in Thailand for a three-month period, rather than the one-year period that you will have. This rule is recently imposed and some under-50 spouses are currently in Thailand on longer visas. Even though you’ve received a Non Imm O-A, you’re still required every 90 days to file Immigration form TM.47. Also, you’ll have to renew this visa every year. More on these issues next time. Last time we talked about the requirements to get the Non Imm O-A retirement visa to Thailand by applying from at an embassy or consulate outside the country. This time we’re going to explain the procedure for changing to a non immigrant retirement status from a tourist visa while you’re already in Thailand. In a nutshell, to switch to retirement status while in Thailand you must come in on a tourist visa and convert it to a Non Imm O visa. The period of the Nom Imm O is only 90 days but during this period you can extend your stay to one year for retirement purposes. You should be aware that you can’t be converted to a Non Imm O visa from the standard 30-day entry permit tourists and other entrants receive on arrival at the airport . This is often confused with a tourist visa, but a tourist visa has to be obtained at a Thai consulate before arrival. Also, you must have at least 21 days remaining on your tourist visa when you apply for the conversion to the Non Imm O. In Bangkok you must apply for the Non Imm O visa and later adjustment to retirement status at the Immigration Bureau, 507 Soi Suan Plu, South Sathorn Road, Thungmahamek, Sathorn, Bangkok, 10120. Outside of Bangkok, you must do all of this at one of the regional immigration offices. To convert from a tourist visa to a Non Imm O your passport must have at least 18 months of validity remaining. It must also contain your most recent TM.6 (entry-exit) form, the white one clipped inside by immigration when you arrive in Thailand. You must also submit a photocopy of all of the pages of your passport and sign each page, preferably in blue ink. For both the Non Imm O and to extend it to one year you will need to prove that you have financial resources. This will be discussed next time. The fee to convert to Non Imm O status is 2,000 baht. There are two forms that you must complete and submit, TM. 86 (Application for Visa Status Alteration) and TM. 87 (Application for Visa). You must also submit a 4 x 6 cm photo taken within the last six months. Once the Non Imm O is granted, if you plan to travel outside of Thailand, you must get a reentry permit. A single reentry permit, good for one trip, costs 1,000 baht. A multiple entry one costs 3,800 baht. If you travel without a reentry permit the Non Imm O will be invalid when you return. Once you have the Non Imm O you can extend it to a year if you are 50 or older, pay the fee of 1,900 baht and submit form TM.7. The other requirements for the Non Imm O such as the financial resource documentation must be submitted yet again. We want to emphasize that many of the items we discuss in connection with immigration matters are as a result of experience with our clients’ applications or conversations with immigration officers we know. Immigration officers have fairly wide discretion about a lot of these issues and your particular experience with these application processes may differ here and there. Our objective is to help you understand your options and give you a general picture of the legal process. Next time we’ll discuss the rest of the requirements for the Non Imm O and some considerations that apply to both the Non Imm O-A and the Non Imm O. 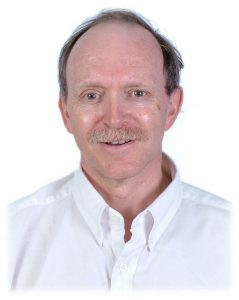 Last time we talked about some of the requirements to get a retirement visa while you are in Thailand on a tourist visa. You’ll recall that to do this you must convert to a Non Imm O visa, which is only a 90-day visa, and then extend your stay to a year for retirement purposes. This time we’ll talk about additional requirements for getting the Non Imm O visa and some issues that apply to both the Non Imm O visa and the Non Imm O-A visa, the retirement visa that you must get at a Thai embassy or consulate in your home country before you come to Thailand. An additional requirement to get the Non Imm O is that you must show you have financial resources. One alternative to do this is to give copies of a bank passbook showing you have had at least 800,000 baht on deposit in a bank in Thailand for a minimum of three months prior to your application. You must also submit the original of a confirmation letter to this effect from the bank and documentation proving that these funds were remitted to you from outside Thailand. We have been contacted by numerous readers who have asked whether financial resources can be proved for the Non Imm O with funds deposited in banks outside of Thailand. For the Non Imm O this is not possible. The deposits must be in Thailand. If you have more than one account in Thailand and together the accounts satisfy the 800,000 baht requirement, immigration officers we talked to told us they would accept passbooks and letters from banks from more than one bank. Alternatively to the 800,000 baht deposit option, you may submit a letter from your embassy in Thailand certifying that you have a pension or monthly income of not less than 65,000 baht a month. If you have both monthly income and a bank account, but neither meets the amount requirements above, a combination of monthly income multiplied by twelve plus the amount in the bank account will also be sufficient, as long as the total exceeds 800,000 baht. Now let’s talk about some issues that are the same for both Non Imm O-As and Non Imm Os. What about your spouse, for example? 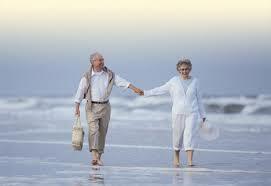 For your spouse to get retirement visa status the financial requirements are the same and in addition to yours. We have also been recently told by immigration officials that they will not accept single accounts or income statements with twice the content. Instead, each spouse should have his or her own separate accounts or income statements. What if your spouse is under 50 and also a foreigner? He or she will be considered for a Non Imm O visa. This means your spouse on a Non-Imm O would initially receive a 90-day visa. This visa may, however, be extended to the same period as yours, by reason of stay with family. An original of the marriage certificate may be requested by the immigration official in charge of the case. Next time we’ll discuss how you can renew your retirement visa. Last time we talked about the visas available to a foreigner who wants to retire in Thailand. You’ll recall there are two of them. The first is the Non Imm O-A, for which you apply at a Thai embassy or consulate outside of Thailand. You can apply for the second, the Non Imm O, extended for retirement purposes, within Thailand by converting from a tourist visa. This time we will explain how the Non Imm O-A and Non Imm O are renewed, and a couple of other topics applicable to both. For both the Non Imm O-A and the Non Imm O, renewal can be accomplished from within Thailand. Of course, the renewal documentation has to be submitted to the Immigration Bureau, 507 Soi Suan Plu, South Sathorn Road, Thungmahamek, Sathorn, Bangkok, 10120, if you live in Bangkok. If you live outside Bangkok, you must submit your application for renewal to one of the regional immigration offices. You must submit your application before the expiration of your existing visa. To renew, you’ll have to submit the application form, TM.7 and a 4 x 6 cm photo, taken within the last six months. You’ll also have to give them your passport and a complete photocopy of it on which you’ve signed all of the pages. There is a fee of 1,900 baht. In addition to the above, to renew the Non Imm O-A or Non Imm O you’ll have to update the information about your financial resources. Regardless of whether your original application was via the Non Imm O-A or Non Imm O route, if you submit the bank information, it must be on a bank or banks in Thailand. As with your original application, there must be a letter from the bank certifying the veracity of the passbook and the deposits must have been in the account three months or more. Again, similar to your original application, the alternative of pension or monthly income or a combination of bank account plus monthly income exists. Regardless of the place of your original application was lodged, however, the letter certifying the pension or monthly income must be from your embassy in Thailand. Here’s a piece of good news. You’ll recall that after you converted from a tourist visa to a Non Imm O you had to do a separate filing to extend the Non Imm O from 90 days to a year for purposes of retirement. If you renew your Non Imm O for retirement purposes it will automatically be for a year. So you won’t need to do the additional filing to extend this as you did the first time. Many people want to have a job in retirement. If you plan to work for an employer in Thailand, the Non Imm O-A and Non Imm O are not for you, because you cannot obtain a work permit on these visas. There is considerable discussion of bringing household goods to Thailand duty free under retirement visas. You cannot do this, however, with the Non Imm O-A and Non Imm O as you might be able to under another status such as that of a work or residence permit. Don’t forget that even though your retirement visa is for one year you have the obligation to submit Immigration Form TM.47 giving your address and other information to the immigration authorities every 90 days.